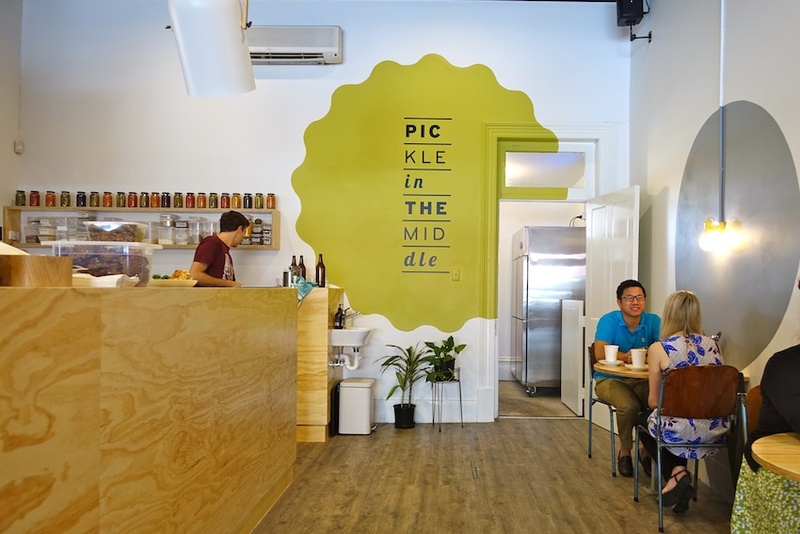 Pickles have come a long way since the days of being flung out the car window upon leaving the McDonalds drive-thru, or being one of the unloved finger sandwich options at Grandma’s afternoon tea. 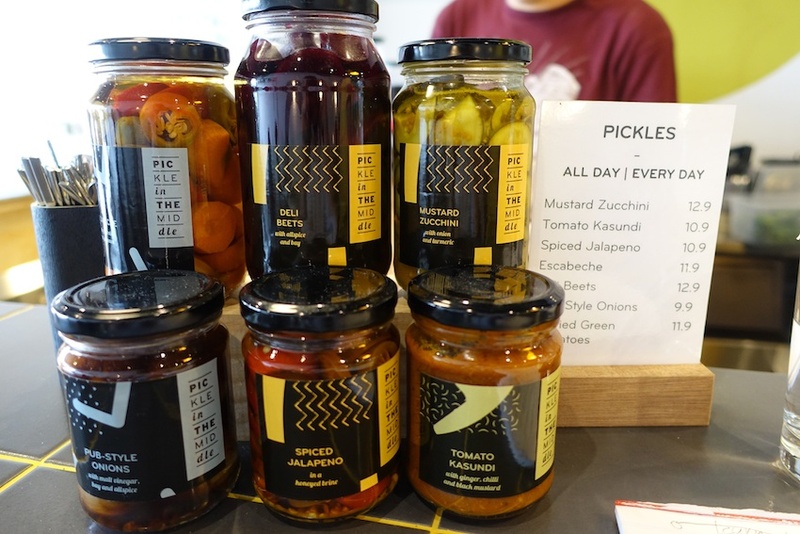 If you are an enthusiast of the tangy jarred vegetables as I am, you may have had the pleasure of visiting the Pickle in the Middle pop-up stall at the Adelaide Central Market late last year. 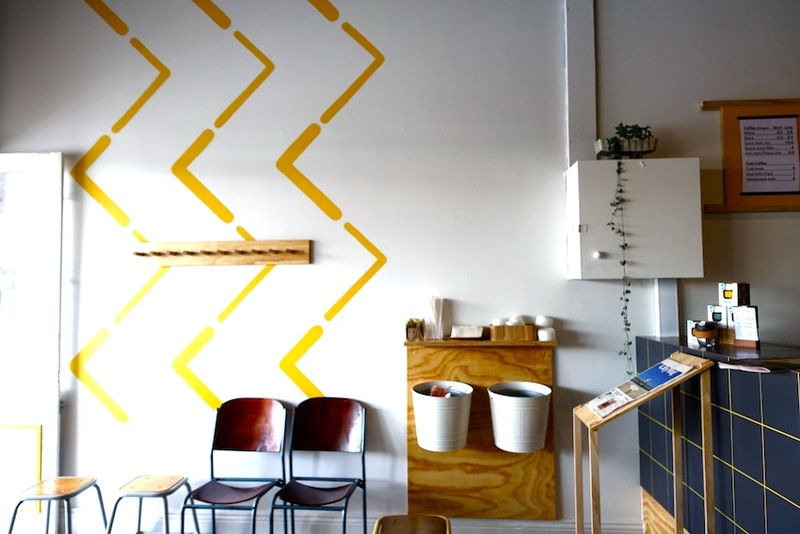 Another fantastic starter initiative from Renew Adelaide, you were able to purchase their jars of homemade pickles and grab a gourmet toasted sandwich. 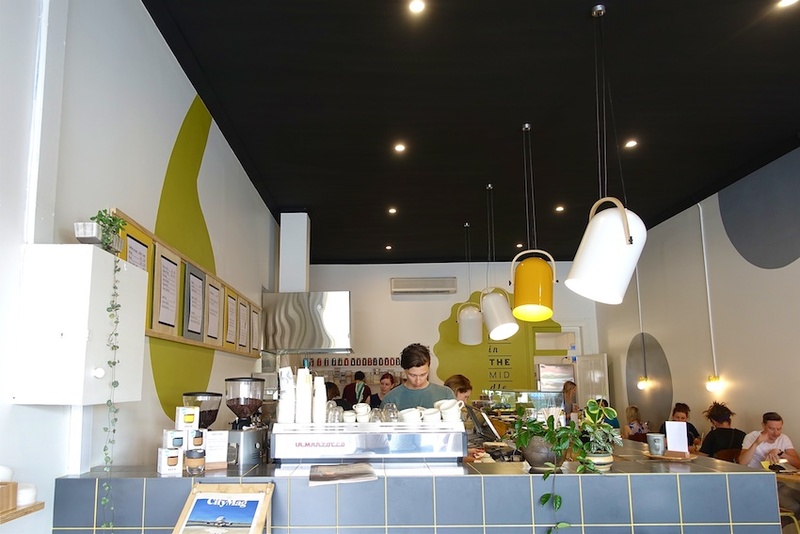 Fast forward to January of this year and the pickles have found themselves a bright, shiny and permanent new home on Unley Road, a two minute drive from the city and now accompanied by a menu of all-day breakfast and lunch from 11am. As I arrived on Sunday I bumped into a friend who was in the process of polishing off her Breakfast Rice Bowl, which came with a strong recommendation. 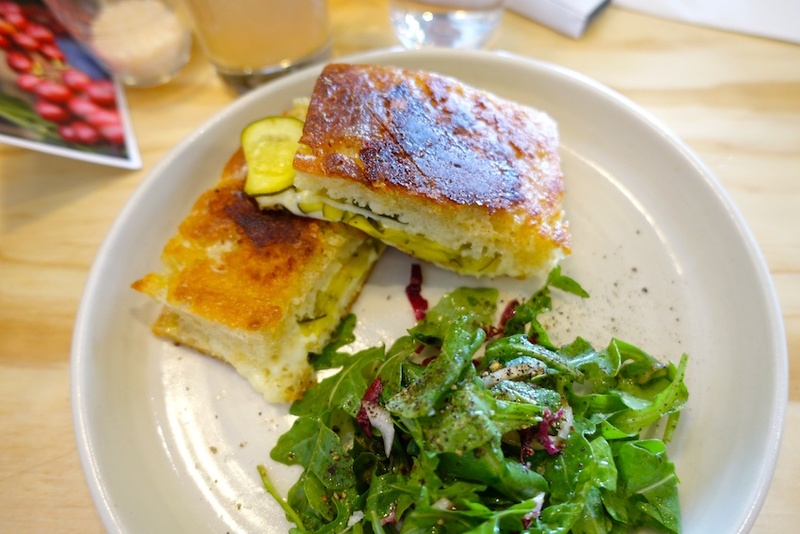 However, with her already being a repeat customer she also told me stories of the Cheese ‘n’ Pickle Toastie, featuring smoked mozzarella and house-made mustard zucchini pickle, happily smooshed between parmesan crusted sour dough… um, NOSTALGIC SIZZLER VIBES MUCH?! 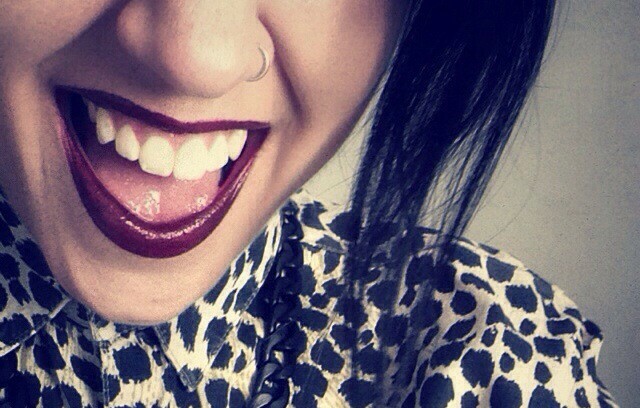 Decision made. 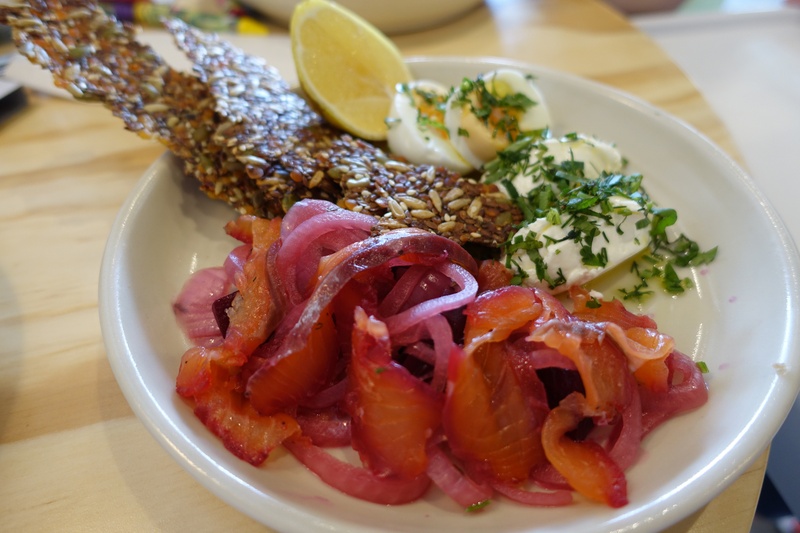 Also sampled at our table was the Beet-cured Salmon, tousled amongst perfectly pink pickled onions and served with soft boiled eggs, lentil & seed crispbread and a herbed labne. The beverage accompaniment of choice for me was the ‘Shrub’, a peach and cascara fruit soda, both sweet and tart and delightfully refreshing. For a caffeinated option it was the homemade cashew and almond milk iced coffee. I’m a newbie to the nutty milk-alternative bandwagon but this one certainly did not disappoint. 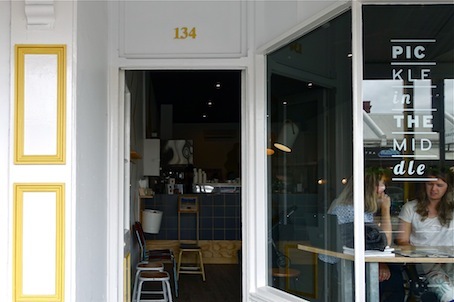 The staff at Pickle in the Middle were friendly, informative and more than happy to have a chat about their produce. 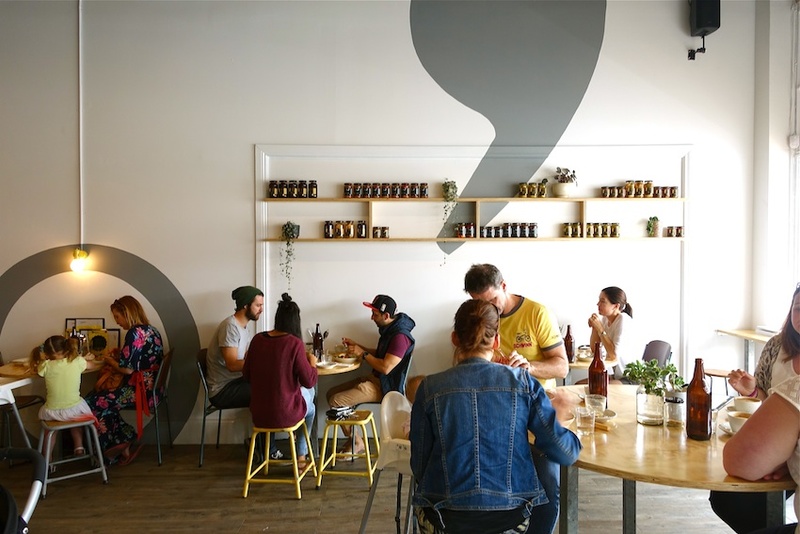 The service was fast but not in a way to make you feel rushed as I sometimes find with some other popular brunch spots. Upon receiving a text message hours later from the friend I ate with stating “I can’t stop thinking about lunch *love heart eyes emoji*”, I knew we were onto a winner. 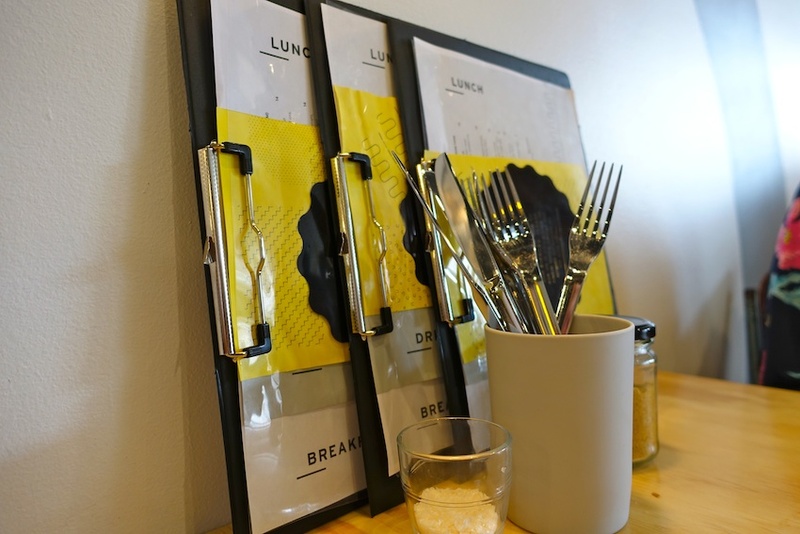 Whether you’re after a creative and healthy meal, a quick coffee or you just pop in to help stock the pantry, Pickle in the Middle offers a refreshing option for your daytime eats.